Melissa Gifford - Independent Stampin' Up!® Demonstrator: Now is THE best time to join my Stampin' Up! team. Now is THE best time to join my Stampin' Up! team. Joining Stampin' Up! is slways a great idea but during Sale-a-bration it is just that little bit sweeter. This year we have not one but two amazing deals just for you. Both deals offer you $80 more in free products as usual and you also have the option of the beautiful exclusive craft and carry tote which is just stunning and oh so practical. And FREE SHIPPING! If your wish list is rather long why not consider joining my team The Happy Camper Stampers. For $210 will get you $315 worth of product, free shipping, the exclusive craft and carry tote and business supplies (catalogues, order forms etc). 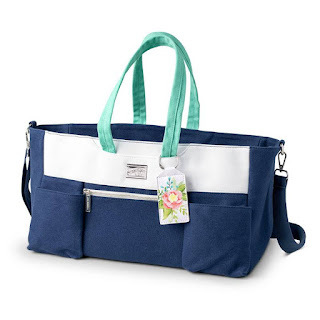 Or chose option one without the tote for $169.00. Once you have joined there are huge ongoing benefits like 20% - 25% off all purchases, early access to future catalogues, attend Onstage events, and heaps more. You can also earn income to support your hobby! There is no pressure to hold parties and classes, and no hard sales. The Stampin' Up! family is warm and welcome and everyone is happy to share what they love. This is a limited time offer and only valid until 31st March 2019 or while stocks of the tote last!